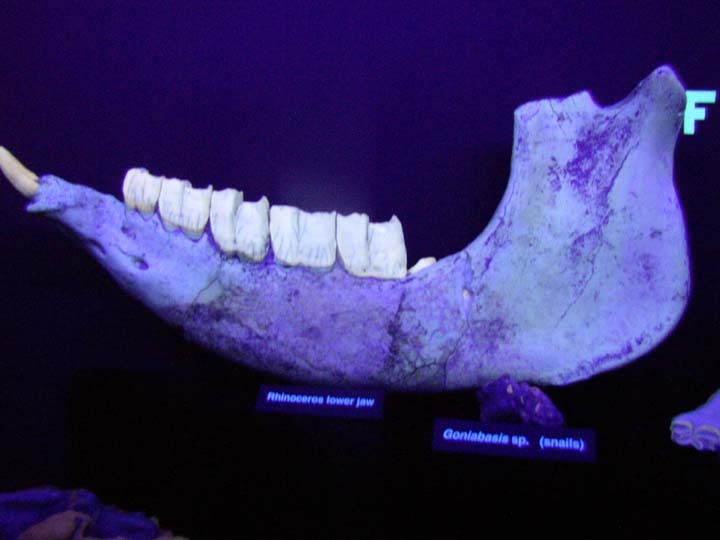 The museum included more dinosaur skulls on the mezzanine and a phosphorescent mineral display room at the back of the first level. 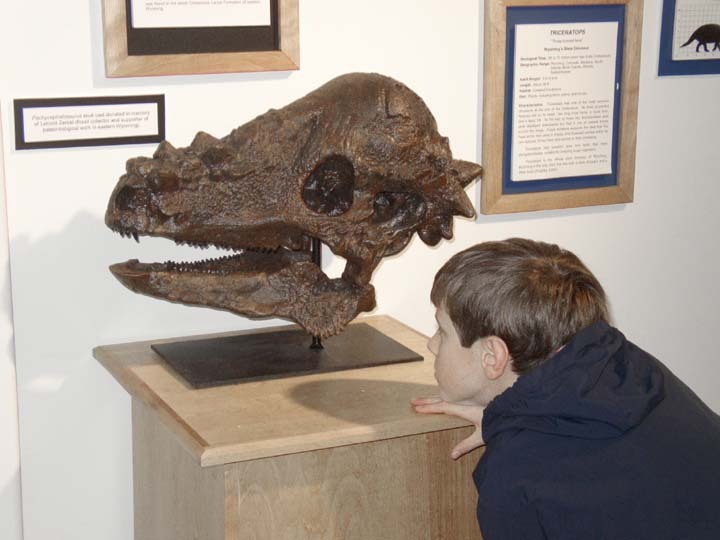 Thomas and a Tricerotops skull. 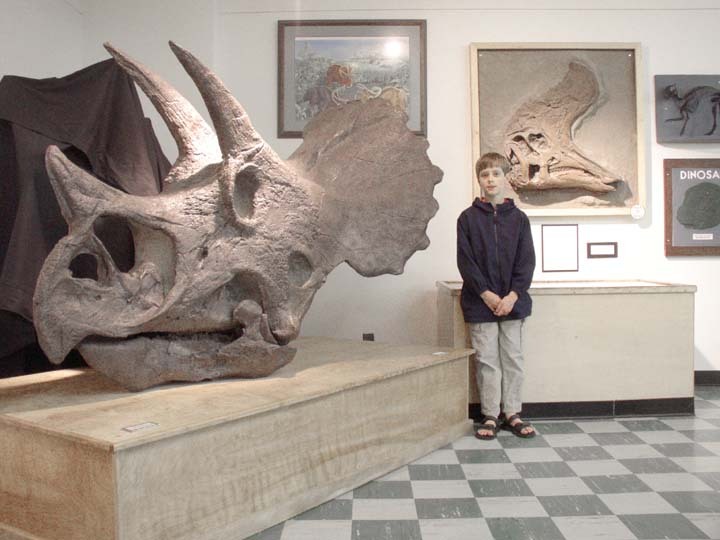 Tricerotops is Wyoming's state dinosaur. Calcite, Willemite, Chandrodite, Franklinite, Garnet, Nobergite: New Jersey, above. 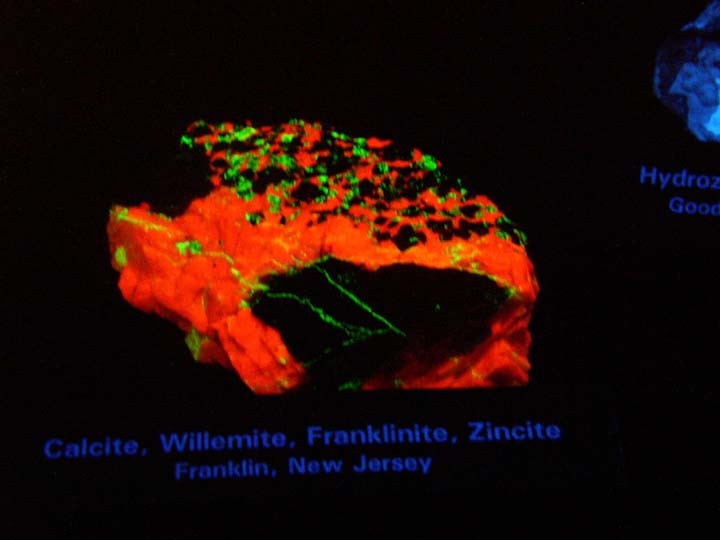 Calcite, Willemite: New Jersey, below. 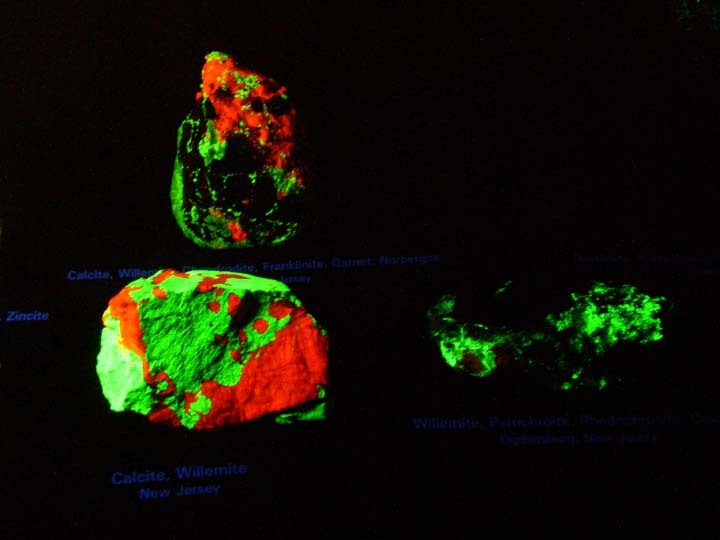 Willemite, Pyrochorite, Rhodochorite, Calcite: Ogdensberg, New Jersey, right.